This week Kalas will be exhibiting at the National Groundwater Expo in Las Vegas Nevada. The expo hosted by the National Groundwater Association is the hallmark trade event for the industry. 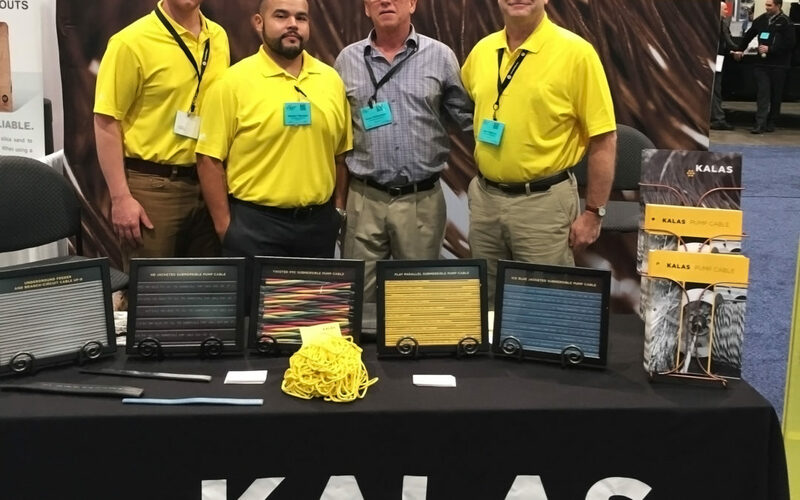 Kalas’ presence at the show reinforces our strong partnership with distributors and end users within the groundwater market. The 2014 show marks the 66th annual NGWA Expo. It will span four days, Dec. 9-12, and feature many experts in the field providing educational offerings throughout the show. Expo hours are 11am-7pm Dec. 10 and 12pm-6pm Dec. 11 when you can visit our booth and talk to our highly experienced team. Stop by our booth #446 at the Expo to see our quality products and service for the groundwater market!